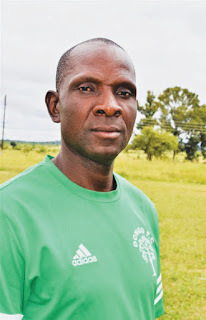 MASVINGO-Following his appointment as Masvingo United (Una Una) head coach, Shadreck Maguraushe (50) has begun laying groundwork to assemble a formidable side capable of challenging for honors in the ZIFA Eastern Region Division 1 League this year. The soft spoken military man stationed at 3 Infantry Brigade in Mutare was given the mammoth task of leading the new outfit with three weeks remaining before the season commences. The Mirror caught up with Maguraushe on Tuesday at Una Una’s favourite hunting ground, Mucheke Stadium where he said his vision is to lead the team into the Premier League. “I was given the reigns two weeks back and my mission is to create the best team from Masvingo, It is a hard task but I am equal to the task as well as open to advice and criticism, I hope the players, fans and management will support my vision and game plan,” he said. Maguraushe is a holder of a CAF Grade B coaching license obtained certificate obtained in Bulawayo in 2017 and an intermediate goalkeepers’ training certificate. He has managed to win accolades at every club he has coached over the last 10 years. He coached Manicaland Youth Games U17 soccer team in 2009 and clinched gold in Marondera and in 2010 he repeated the same feat with the same team in Harare. In 2011 he joined Buffalo FC and led the team into the Premier League in 2012. In 2013, he created Dongo Sawmills FC and led the team into Division 1and eventually the Premier League before it disbanded in 2015. Maguraushe began his footballing career in 1992 as a central defender for Tanganda FC till 1995 when he joined Buffaloes FC and retired in 2003. He retired in 2003 and in 2004 obtained a Level 1 coaching certificate and had a stint at Vhengere High School and GMB Pirates Rusape before tracing back his roots to Buffaloes FC as assistant coach to Luke Vahombe Masomere when the team was promoted into the Premier League. In 2013 he teamed up with his brother in law Francis Dongo to form Dongo Sawmills FC in Division 2. 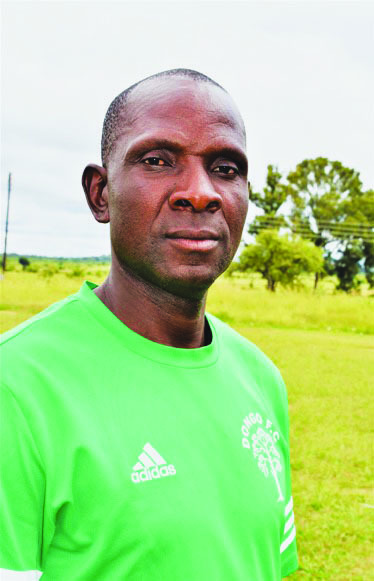 The team was promoted into Division 1 and Premier League the following year where he was assisted by Justin Bingadadi and former Caps Utd defender who is currently coaching Buffaloes FC, Dananai Chinovava. Unfortunately the team was disbanded in 2015 due to financial crisis.